How much can you earn contracting? What is your net income after taxes? What rate will earn your desired income? What rate earns the same as permanent? HMRC’s Off-Payroll proposals to impose compliance responsibilities and tax risk on all supply chain members are unnecessary, warns David Kirk. 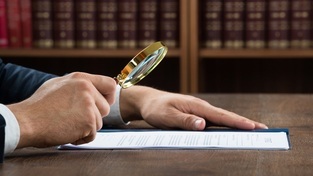 Claims that the Off-Payroll rules won’t result in retrospective scrutiny can’t be relied upon by contractors and clients to remove historical tax risk. HMRC has been criticised for wasting more taxpayer money pursuing ill-considered IR35 cases after victory for broadcaster Kaye Adams at tribunal. 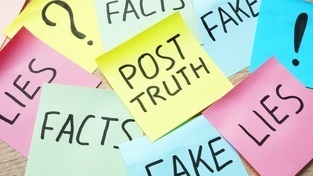 HMRC has conceded that information was omitted from research into Off-Payroll in the public sector, which could otherwise derail private sector plans. 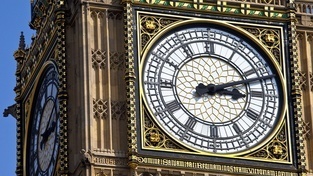 Contractor concerns were heard in Parliament yesterday as MPs met in Westminster to debate the contentious Off-Payroll rules. Improper and potentially unlawful conduct from HMRC and the Treasury has been exposed in the APPG’s Inquiry into the Loan Charge. ContractorCalculator has launched a critique of HMRC’s latest Off-Payroll consultation, dissecting its claims, assumptions and proposals. Dave Chaplin is a former IT contractor, founder and CEO of ContractorCalculator, and author of the Contractors' Handbook and Beat IR35. Due to an imbalance of power and rife non-compliance, the Off-Payroll rules threaten a breakdown of relationships throughout the supply chain. 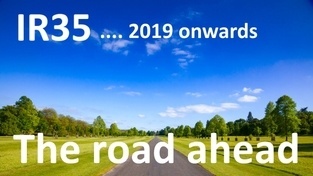 2019 will be a critical year for IR35 and flexible working in the UK. 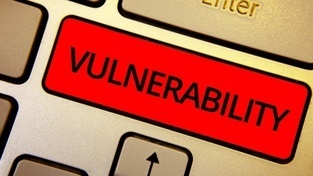 Contractors need to act now to prevent catastrophic change and preserve their futures. 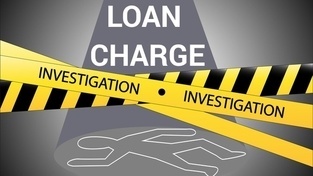 The impact of the loan charge could return to the parliamentary agenda, as a cross party group of MPs has requested a debate. Financial Profile Calculator What is my financial profile? 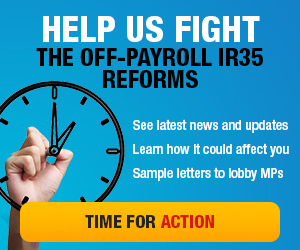 IR35 Calculator How does IR35 affect/cost me? Financial Profile Calculator What is my financial profile? PAYE/NI Calculator How much PAYE/NI do I pay? Mortgage Assessor Calculator How much mortgage can you get as a contractor? 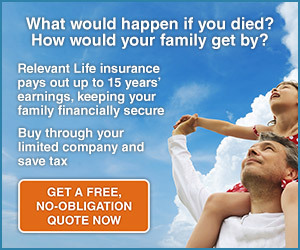 Contractor Pension Calculator Calculate the benefits of diverting pre-taxed income to a pension. PAYE/NI Net Salary Tax Calculator Quickly calculate PAYE income tax, N.I and net pay. VAT Calculator Calculate VAT amounts for invoicing. Nixon Williams AccountantsStart your FREE TRIAL of our cloud based platform today. 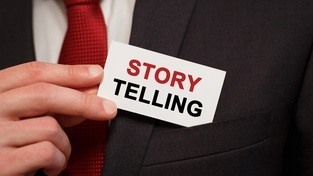 Closing your company?Do you have retained cash? Use an MVL to pay only 10% tax. Find out how. Clever AccountsComplete contractor accounting service. 24/7 online access. £79.50 pm! What is it? How do you avoid it? What are they? How do you join one? 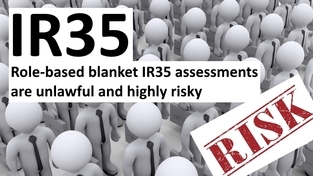 IR35 blanket assessments based on assessing roles are unlawful and present huge risk, yet HMRC still encourages their adoption. Can't find the guide you're looking for? Search for guides here. Q. Can I apply for different contracts with the same agent? A. Should you target your CV differently for different roles advertised by the same agent? Many freelancers are bearing the brunt of late payment and ‘sharp practice’, but by understanding basic contract law and developing your negotiation skills, you can resolve most disputes quickly and to your advantage. 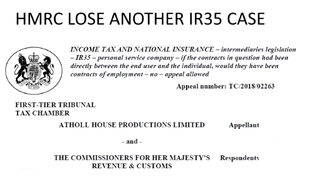 Presenter and journalist Kaye Adams has won an IR35 Tribunal appeal case against HM Revenue & Customs. Control was the determining key factor in the judge’s ruling. Media star Kaye Adams, the presenter of ITV’s Loose Women programme, is the latest celebrity to win an IR35 challenge. HMRC has been defeated by another ITV star, as Loose Women's Kaye Adams won her tax case appeal. Kaye Adams, presenter of the television show Loose Women, has become the latest broadcaster to win a case against HM Revenue & Customs over her employment status.